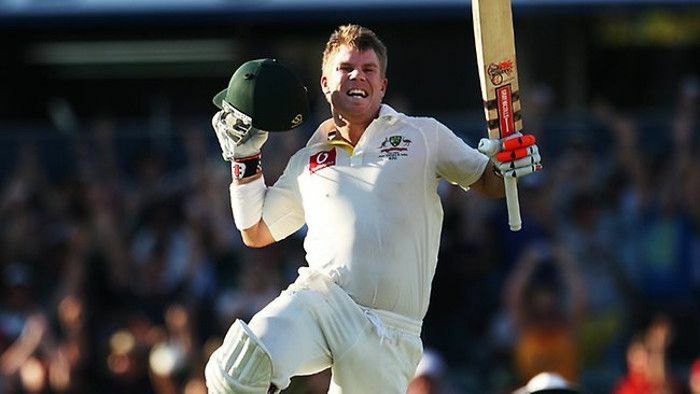 Explosive batsman David Warner has been named as the Australian Test player of the year, and also beat his captain Steve Smith for the prestigious Allan Border Medal. The 29-year-old aggressive southpaw received 240 votes to win Australian cricket's highest individual prize and also got six more votes than Smith to be named test player of the year. Warner, who was named vice-captain of the test side last year, notched up the fastest century, his 16th, at the Sydney Cricket Ground while playing against West Indies this summer. Meanwhile, all-rounder Glenn Maxwell was named as the one-day-international player of the year and Adam Voges as the domestic player of the year.